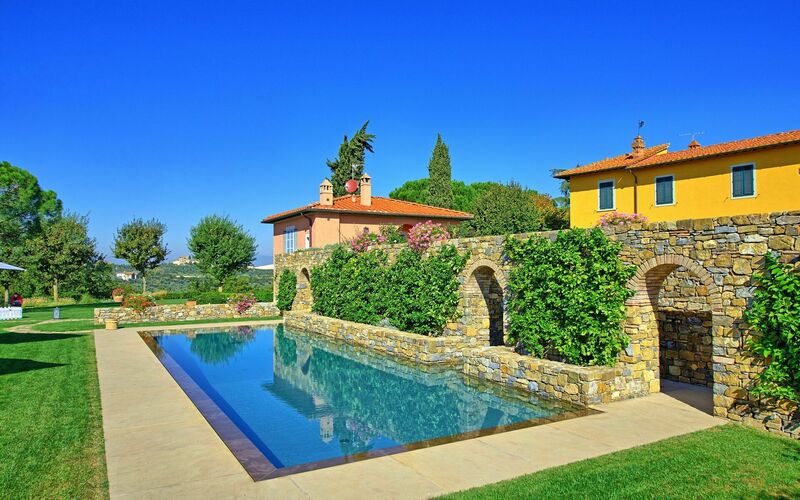 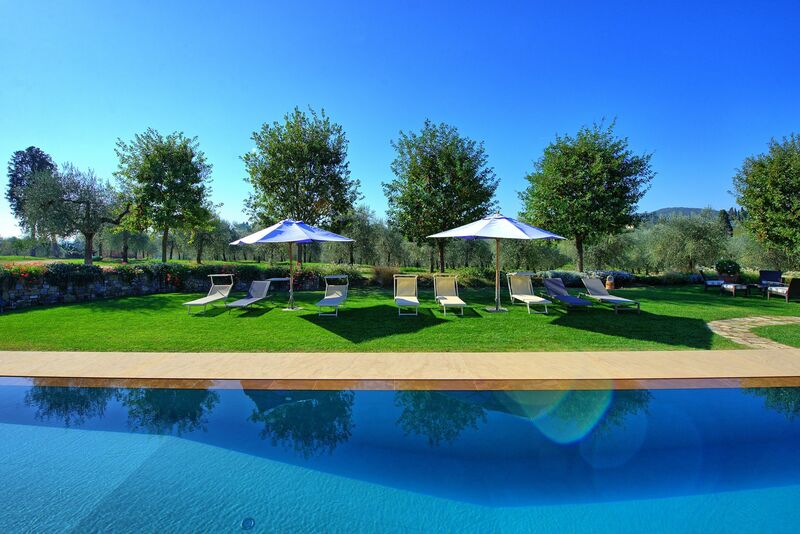 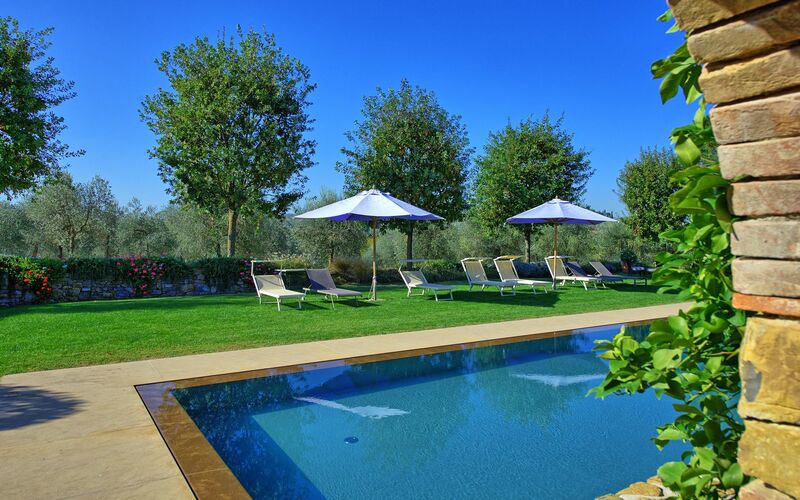 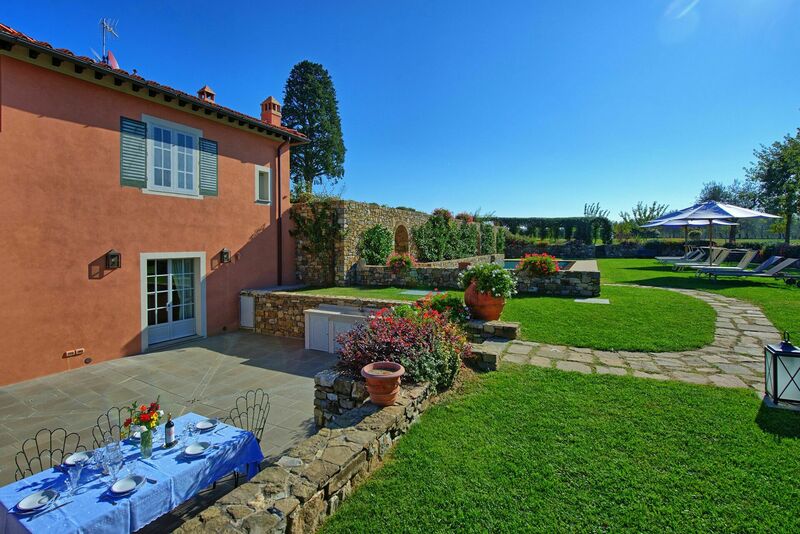 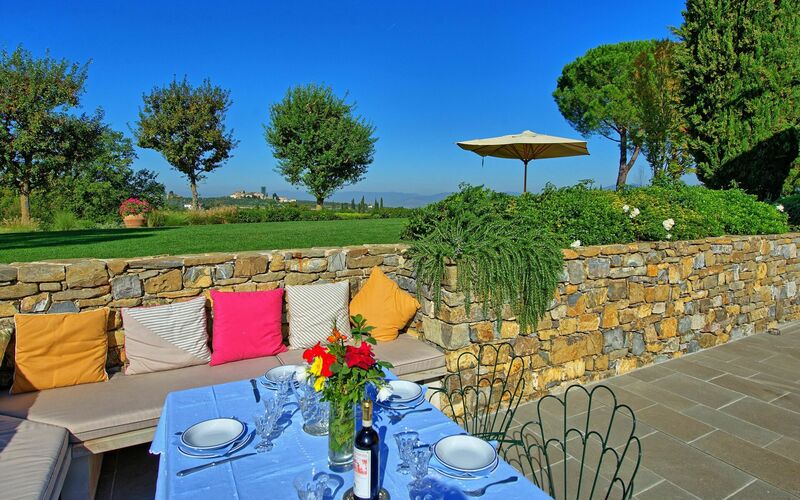 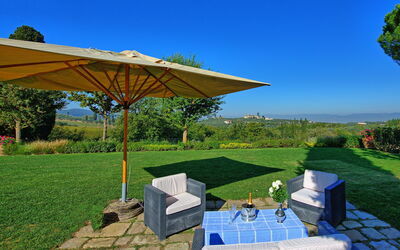 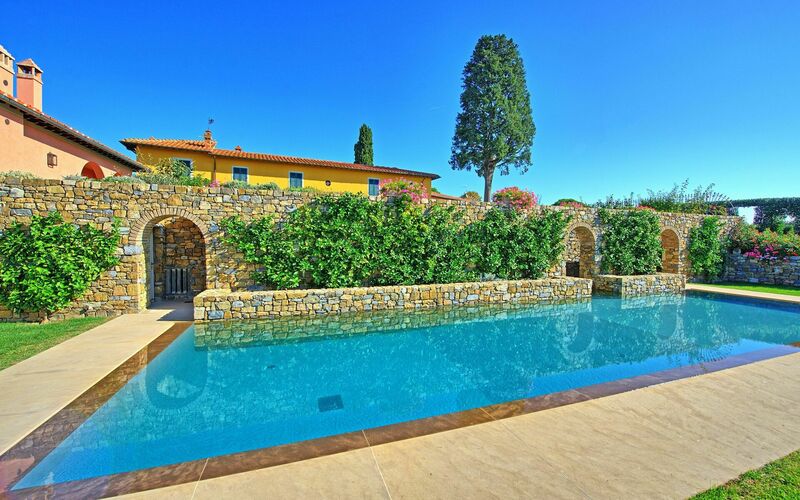 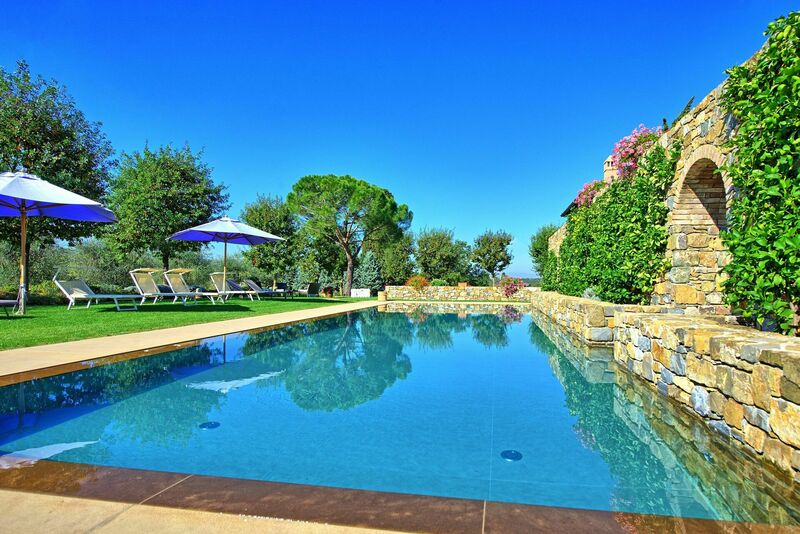 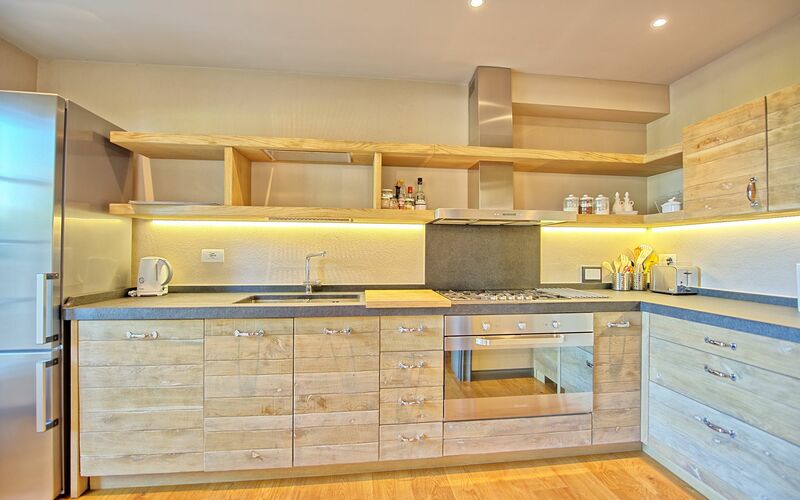 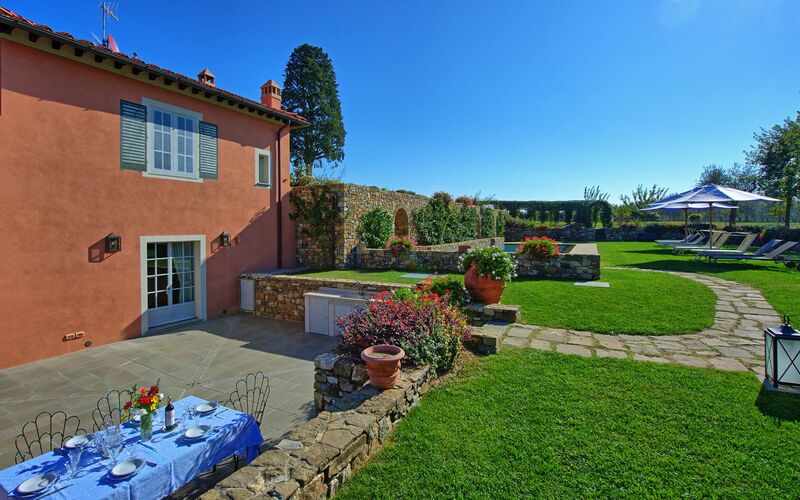 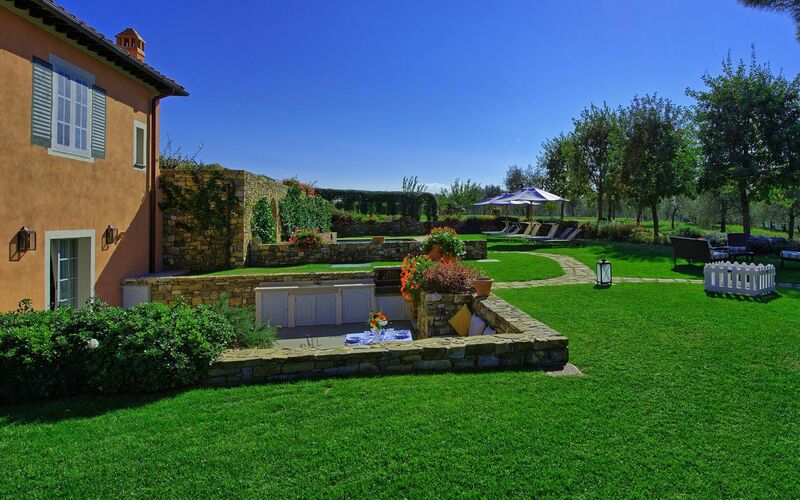 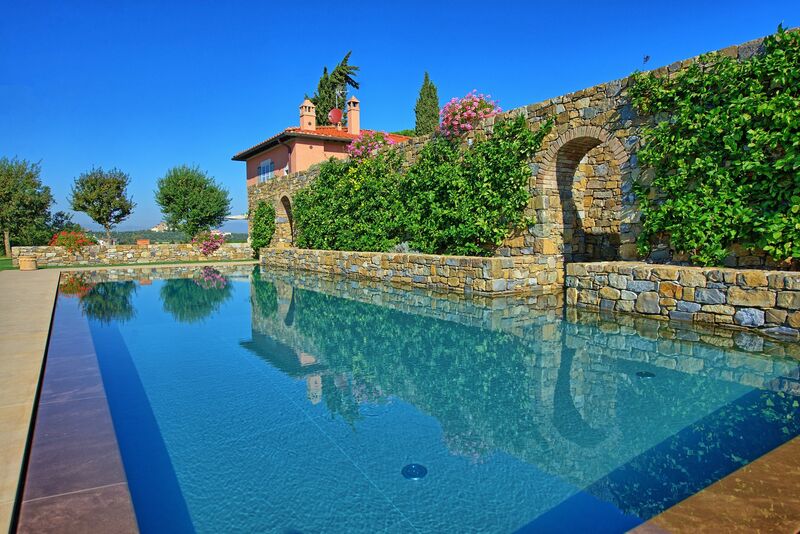 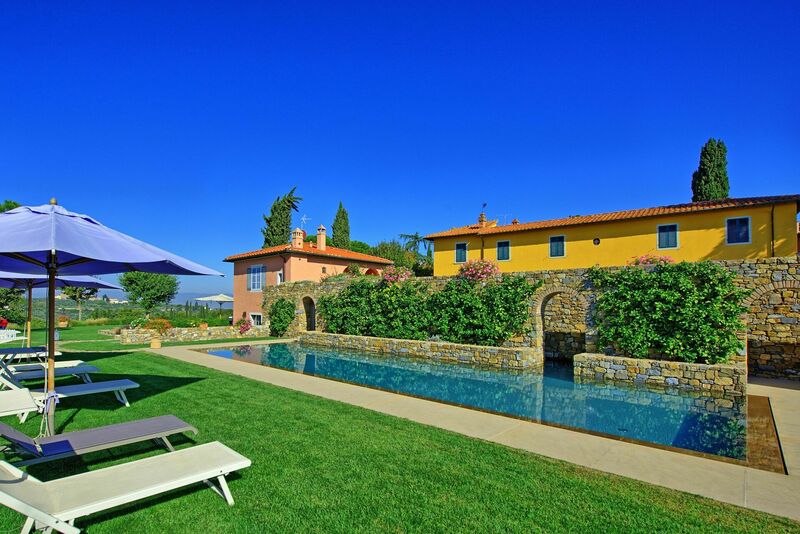 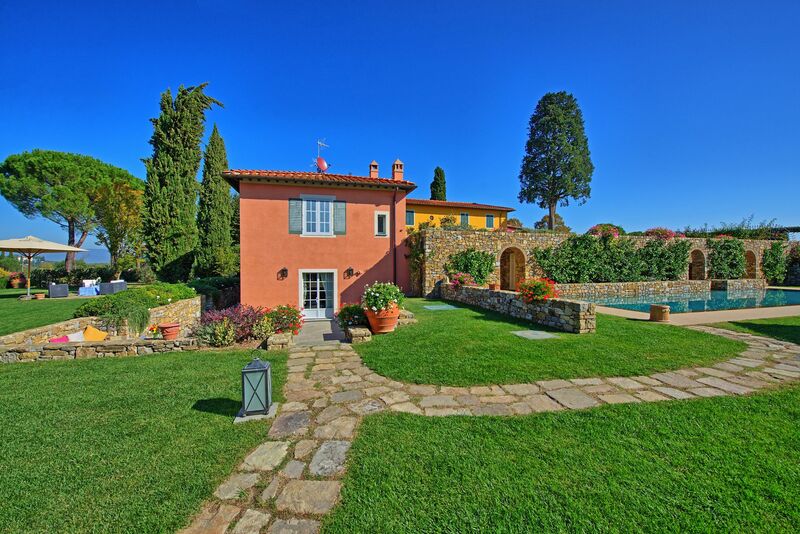 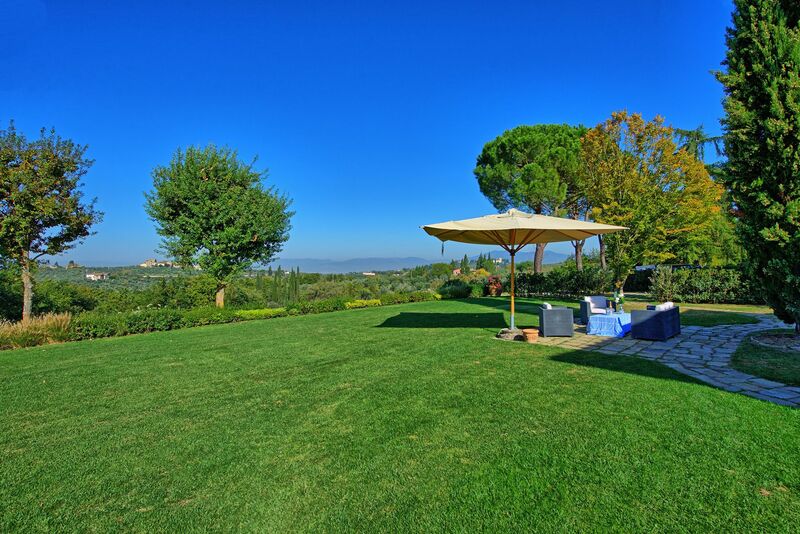 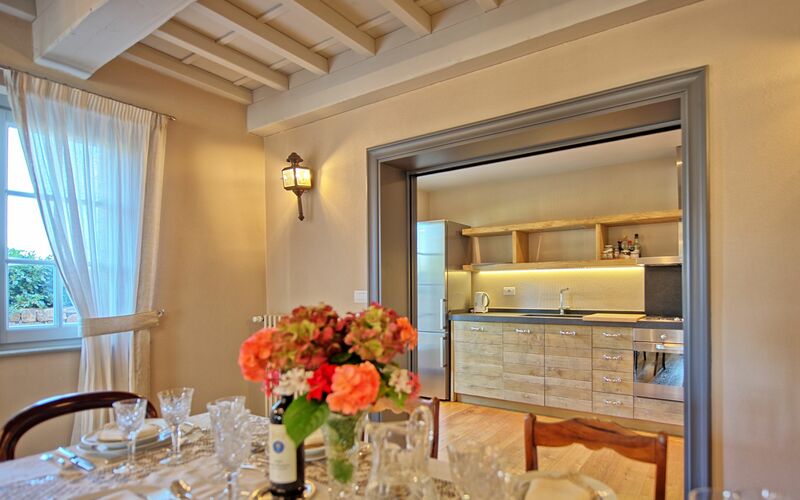 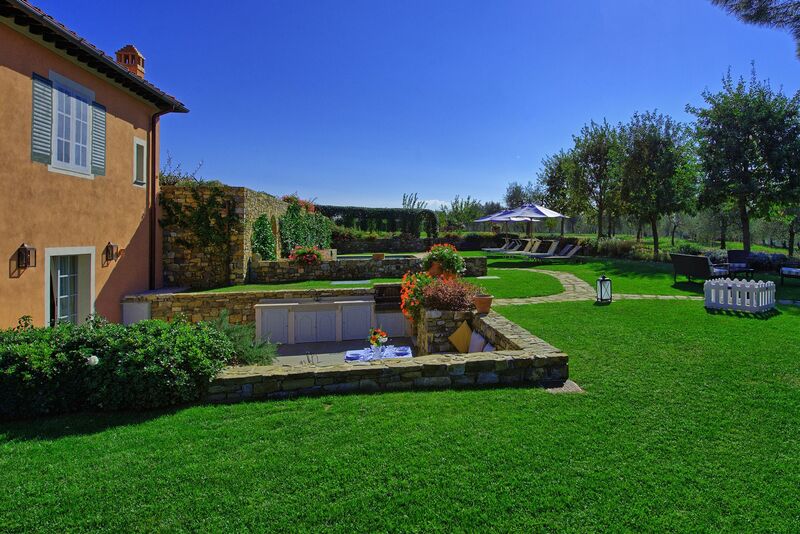 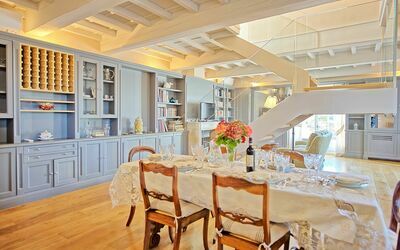 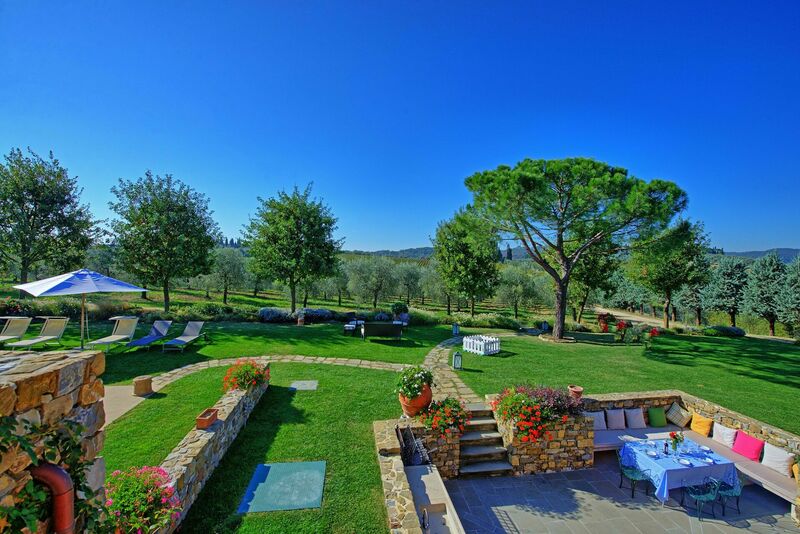 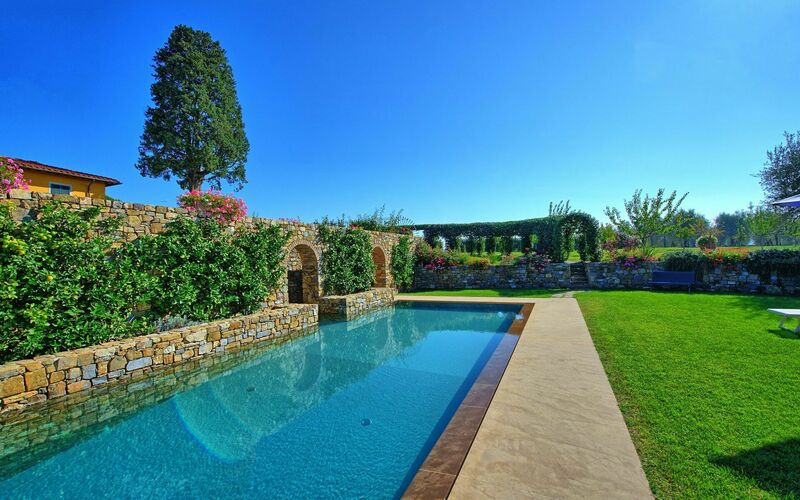 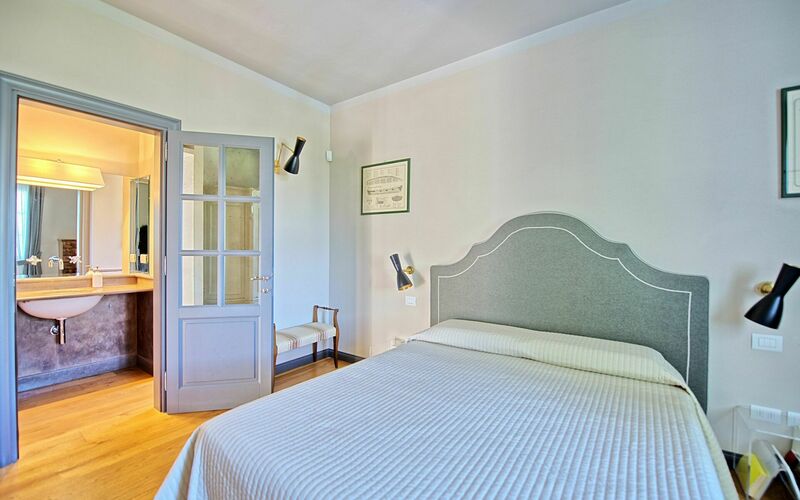 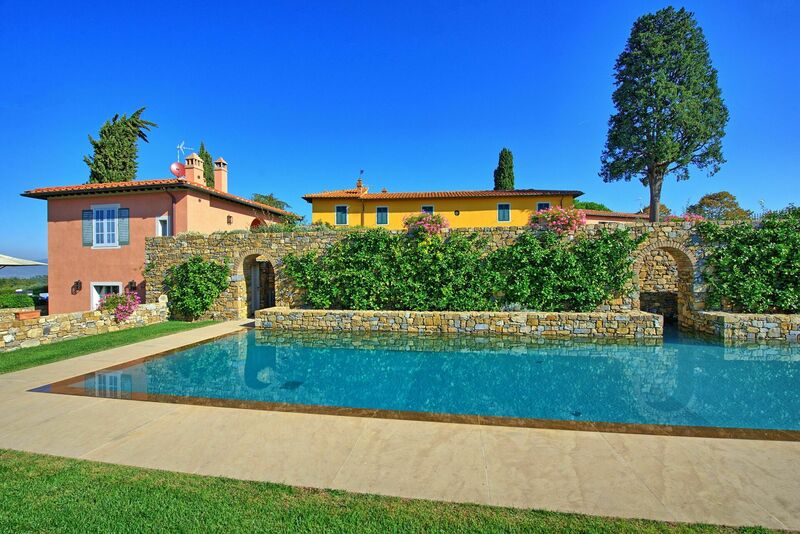 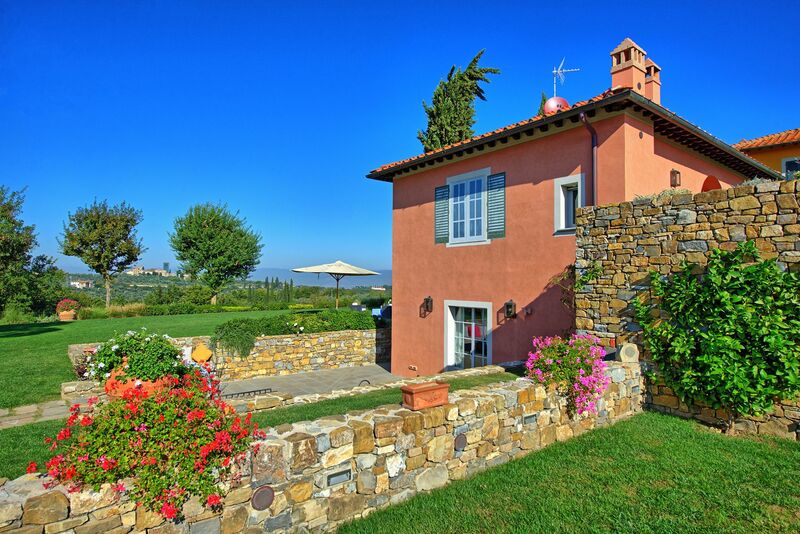 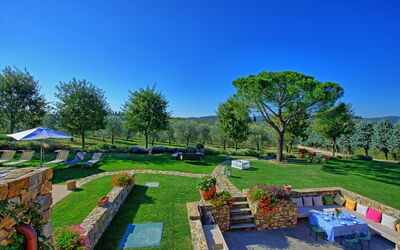 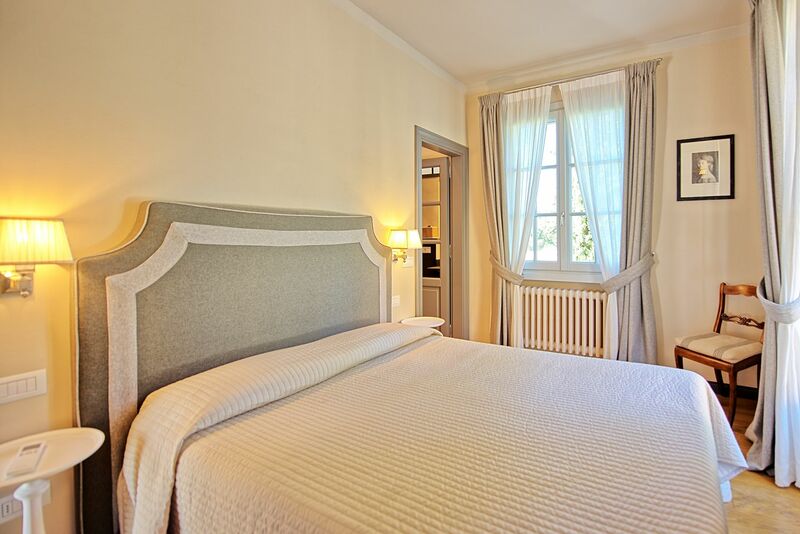 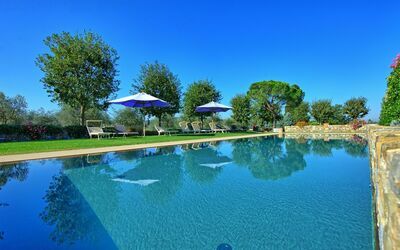 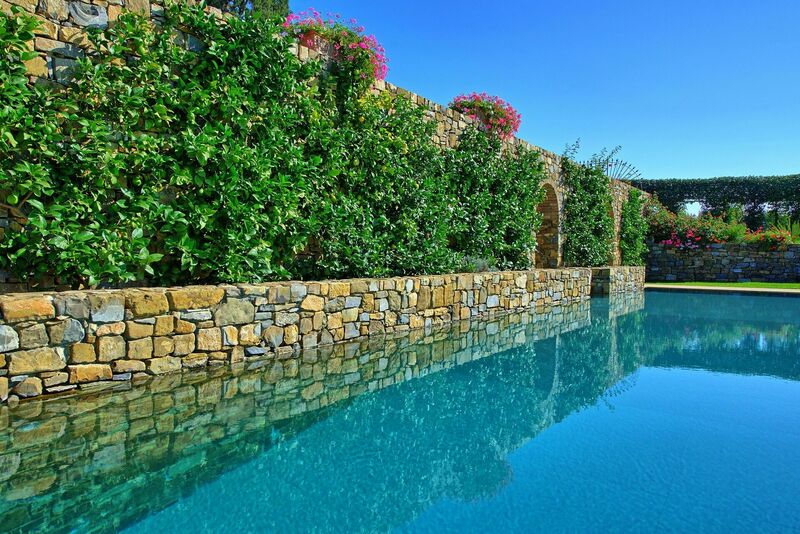 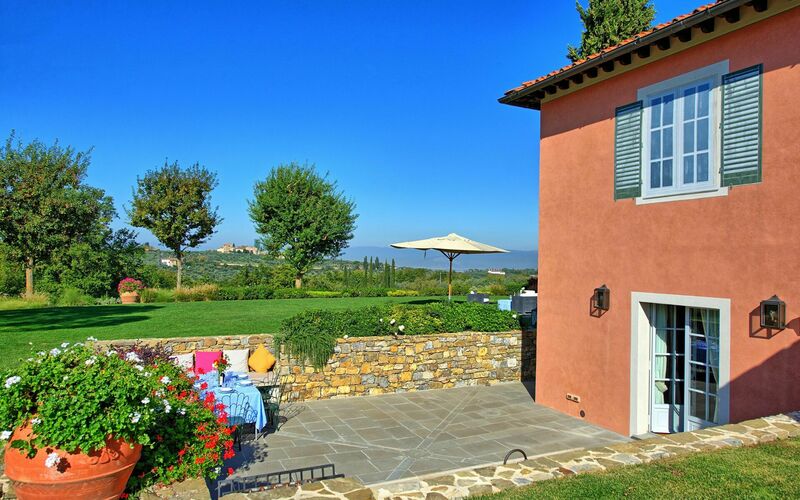 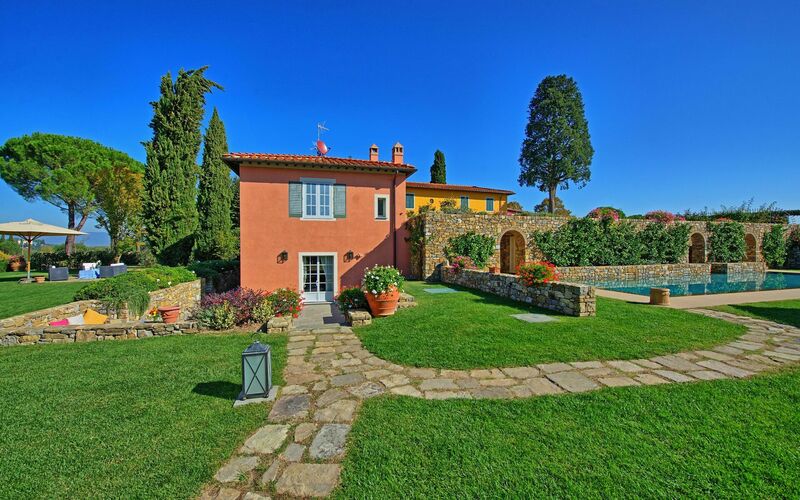 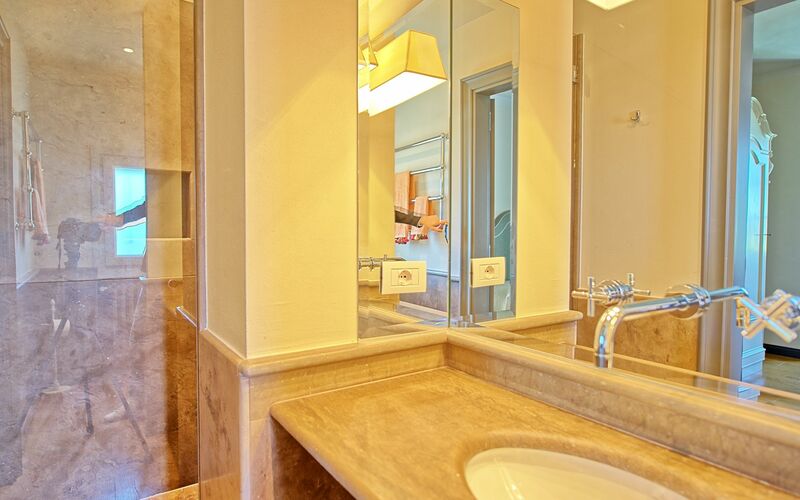 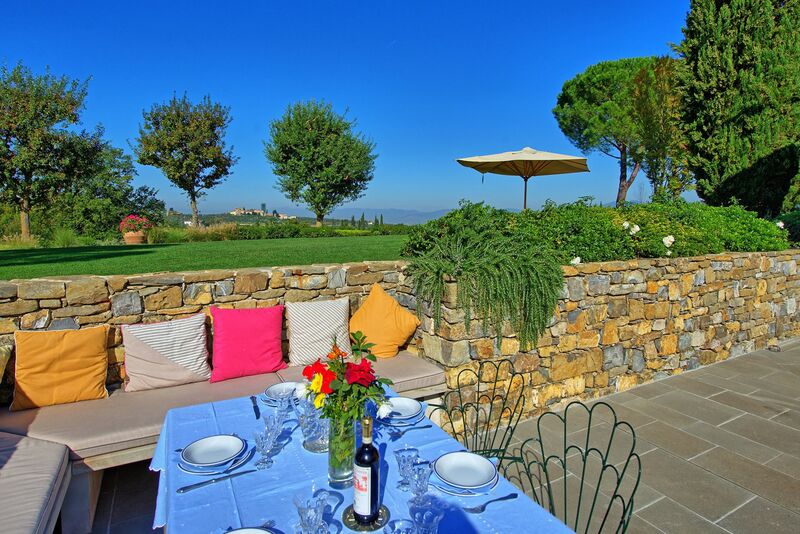 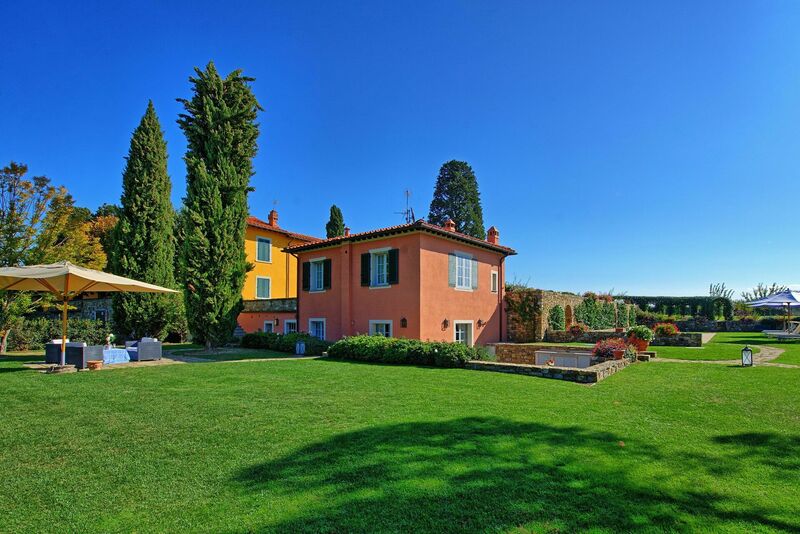 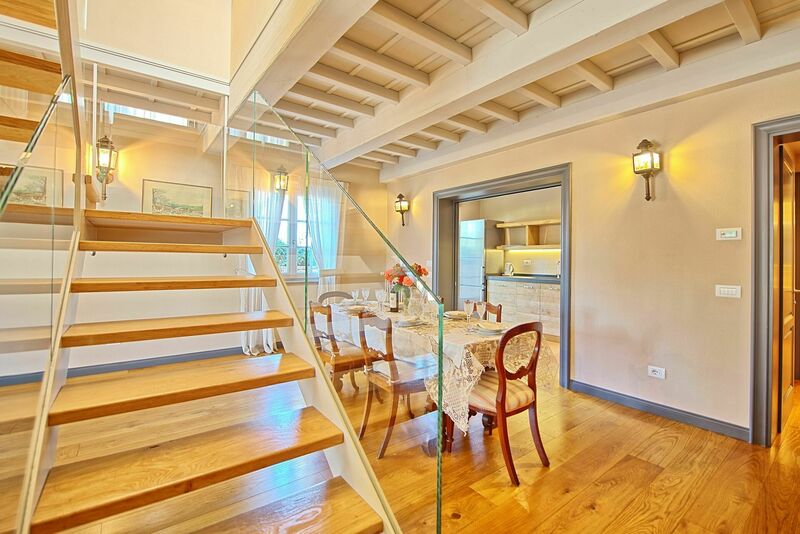 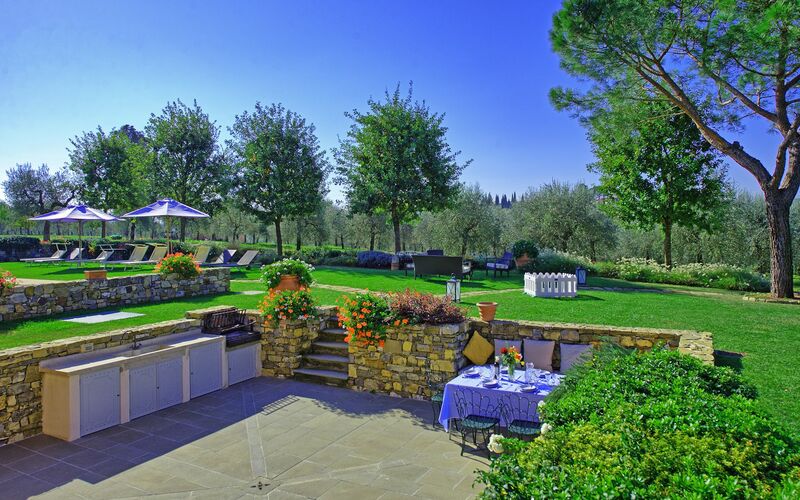 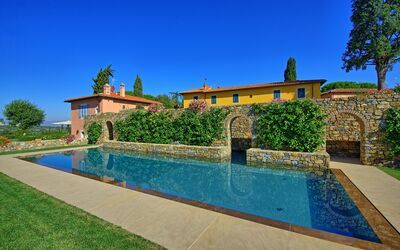 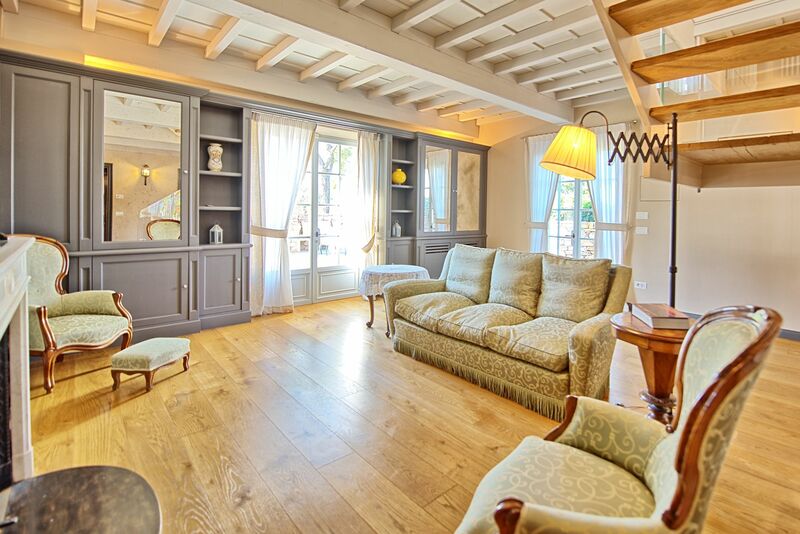 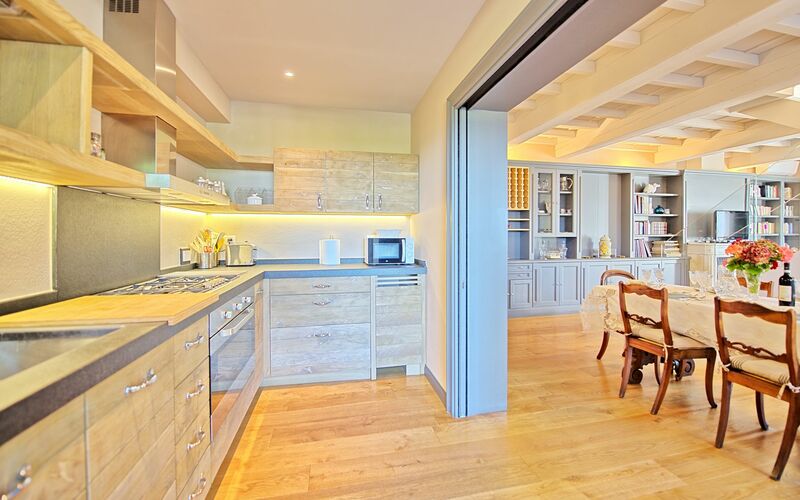 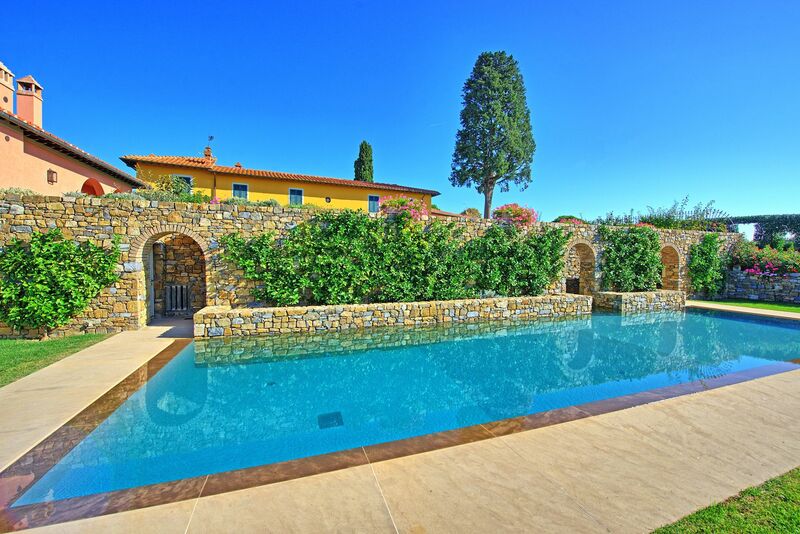 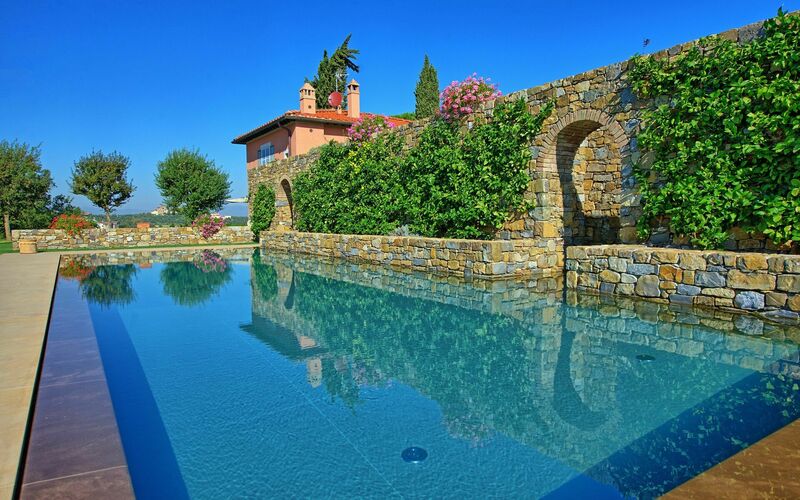 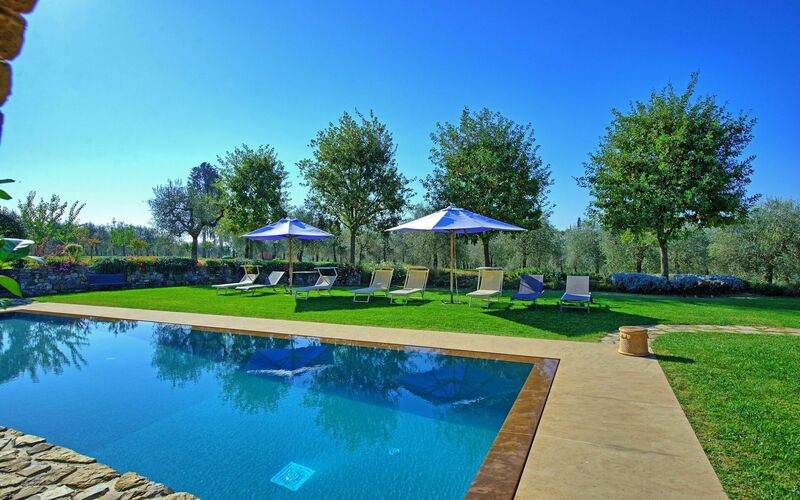 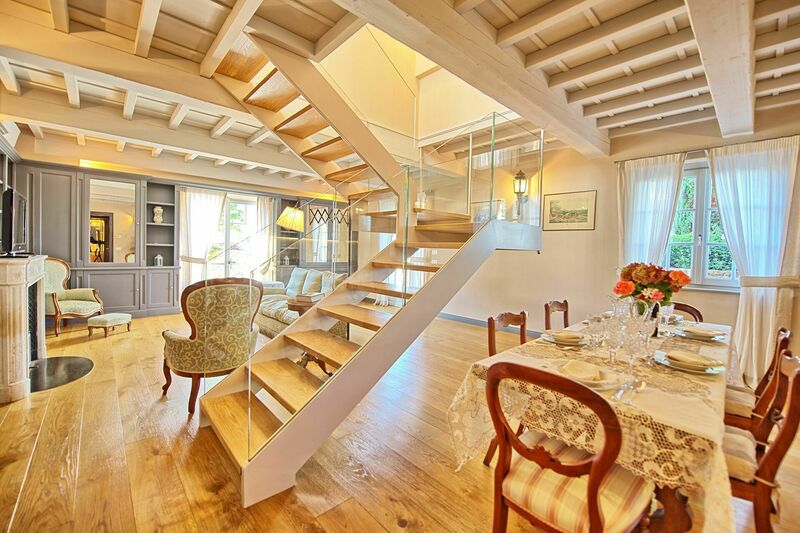 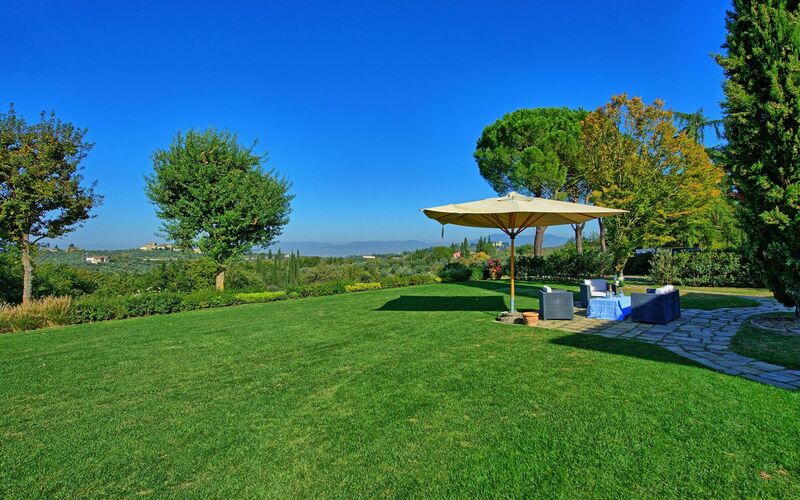 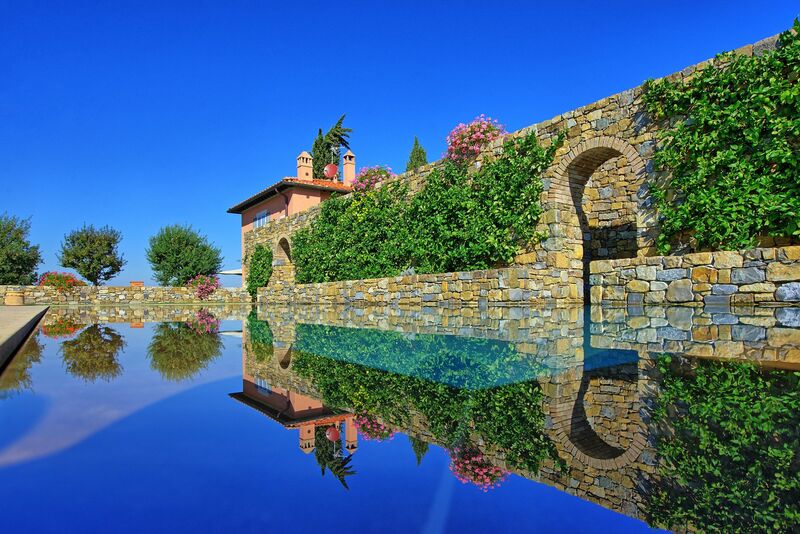 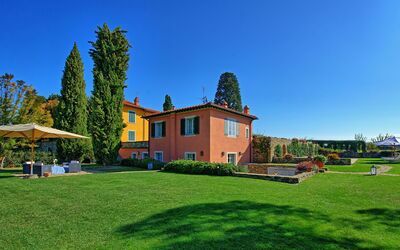 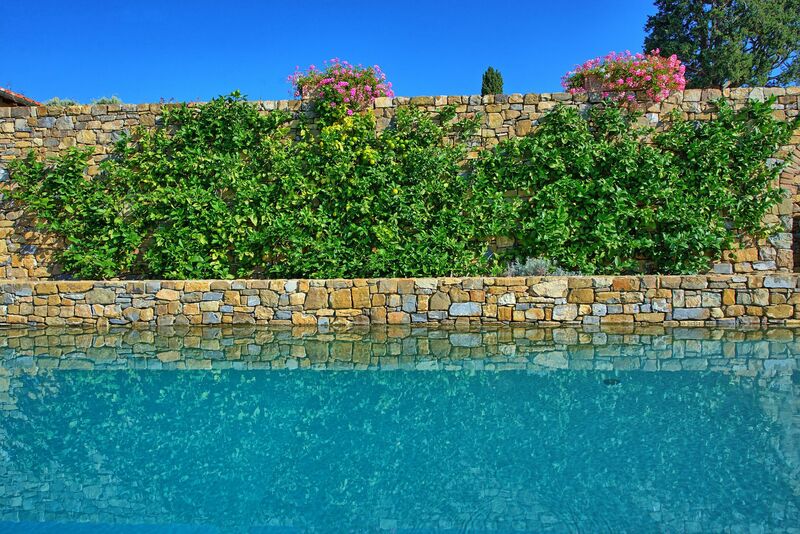 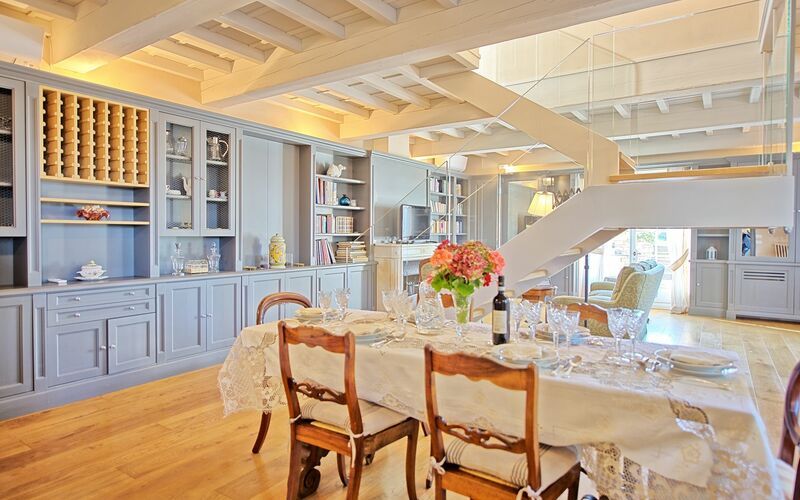 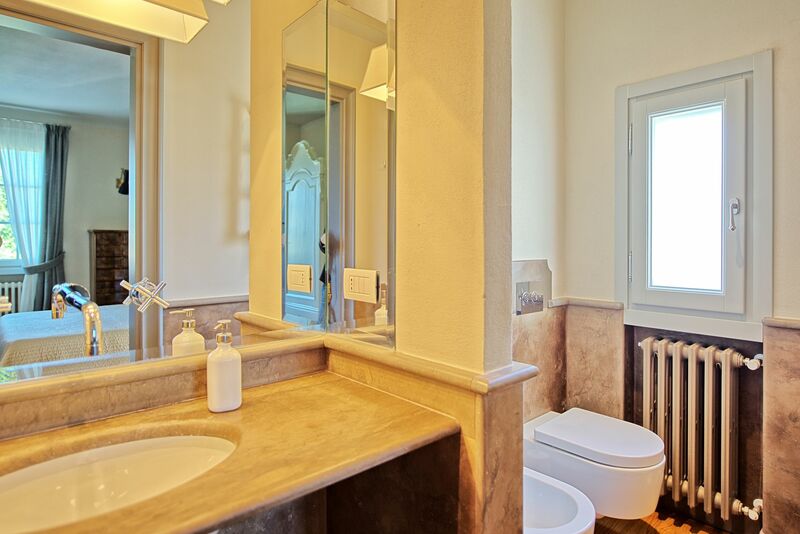 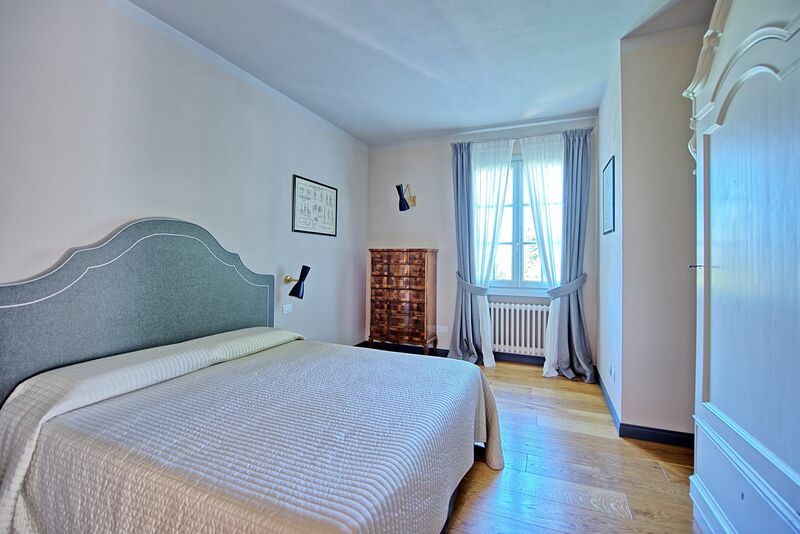 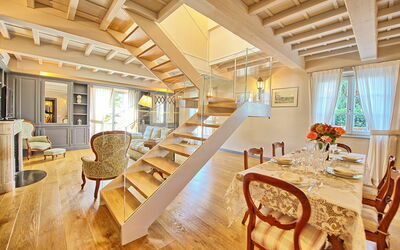 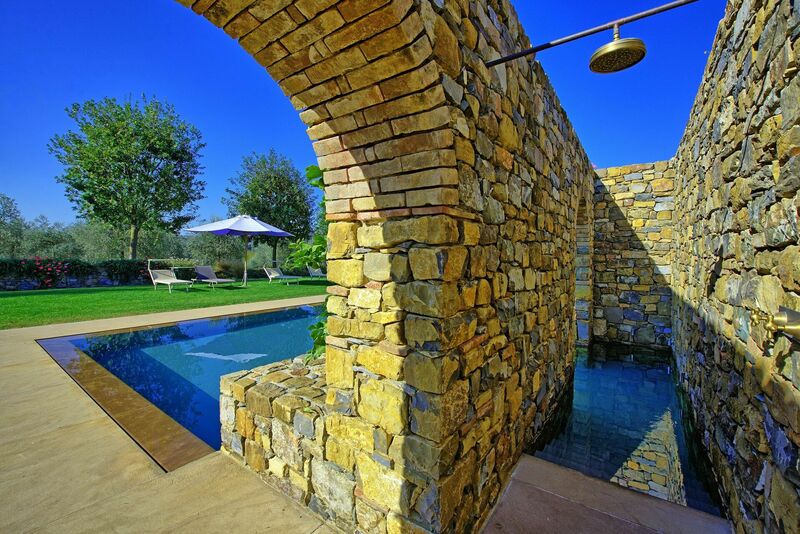 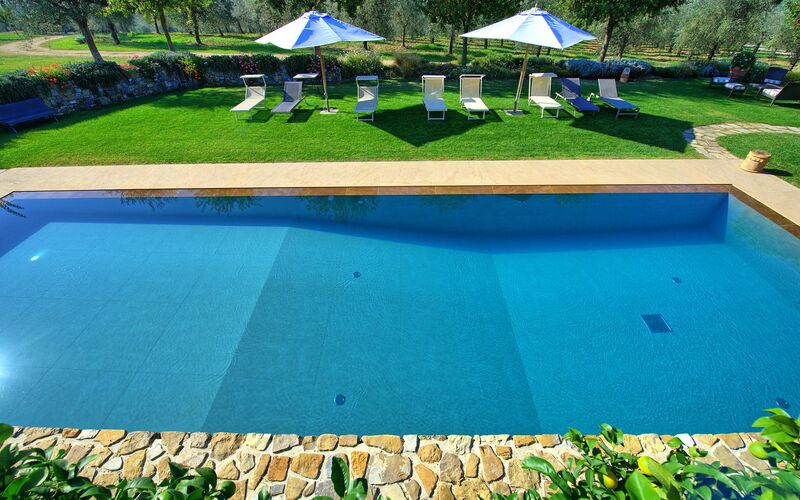 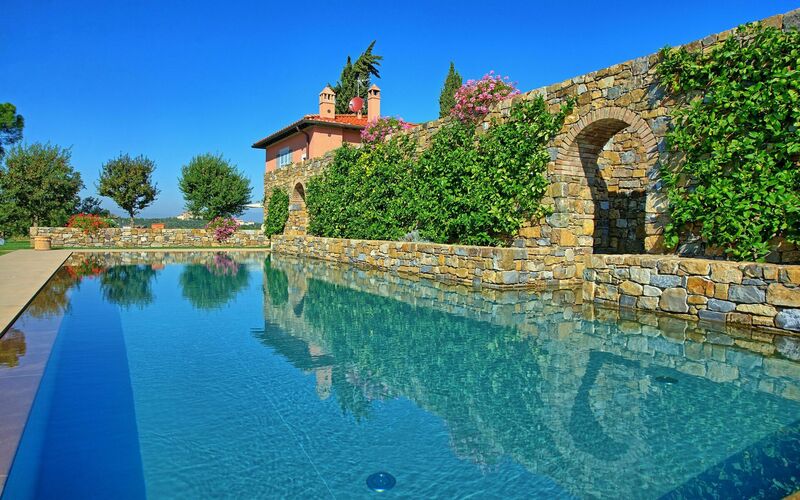 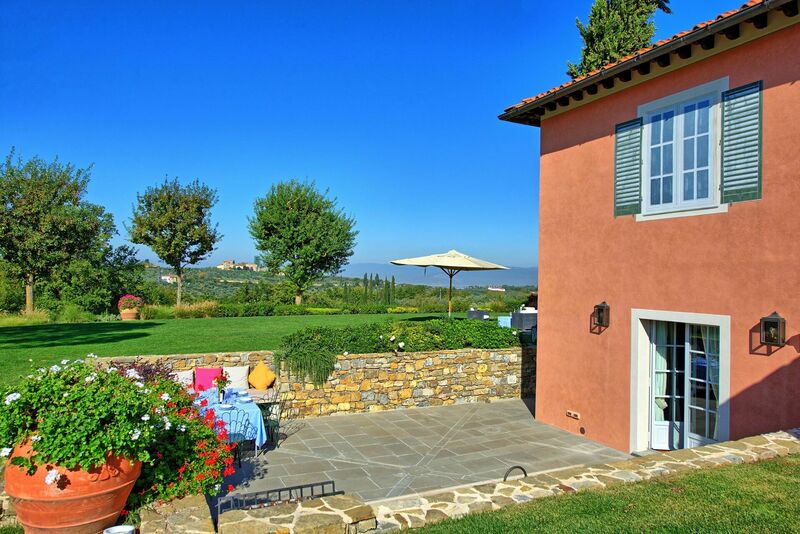 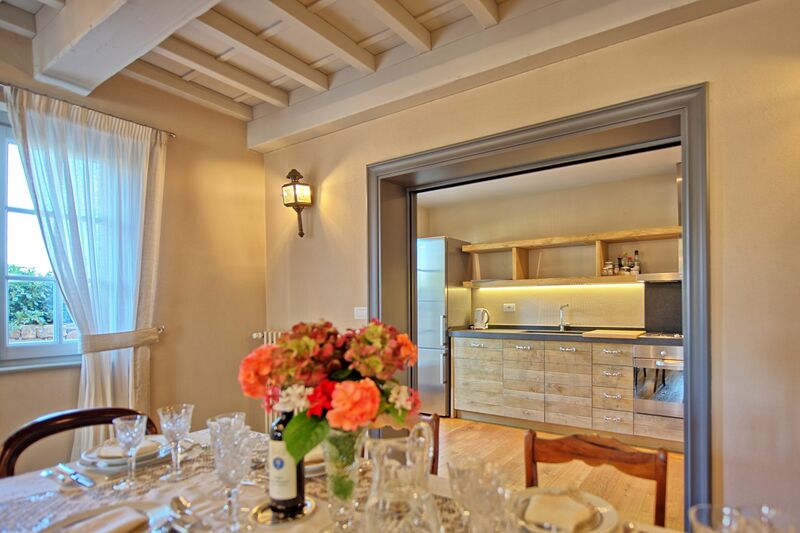 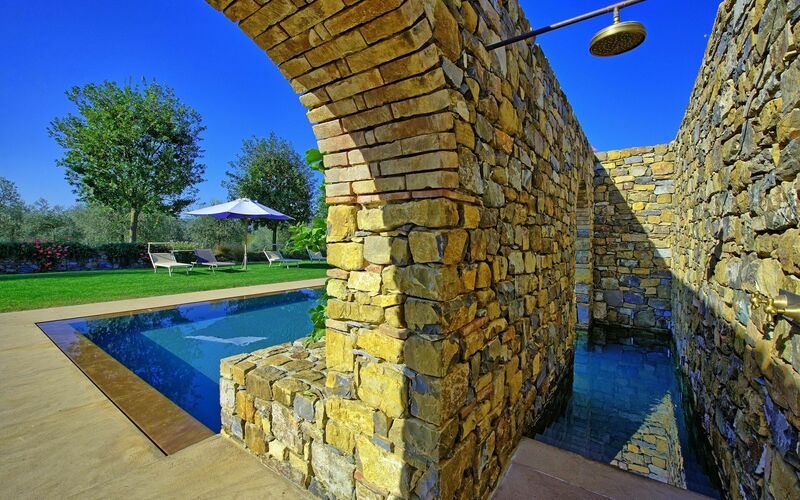 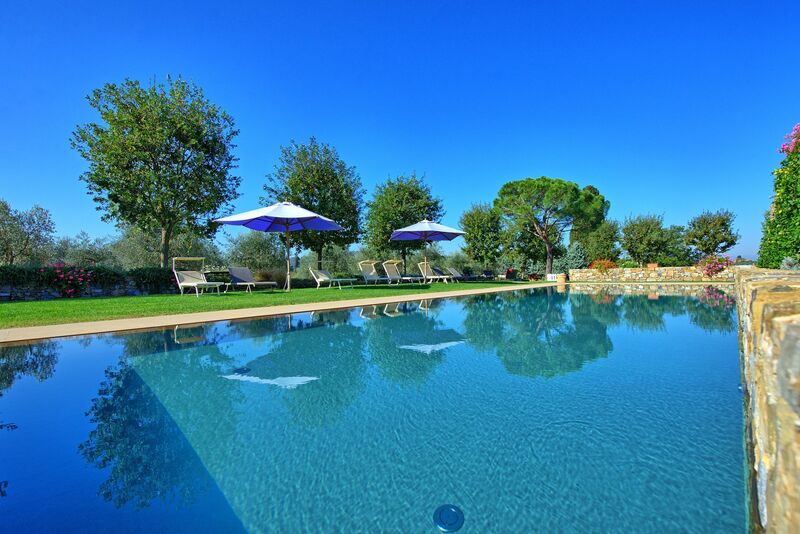 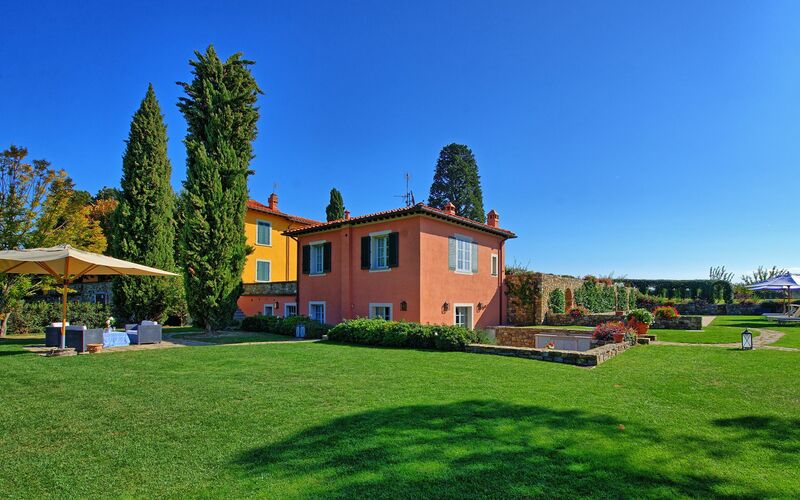 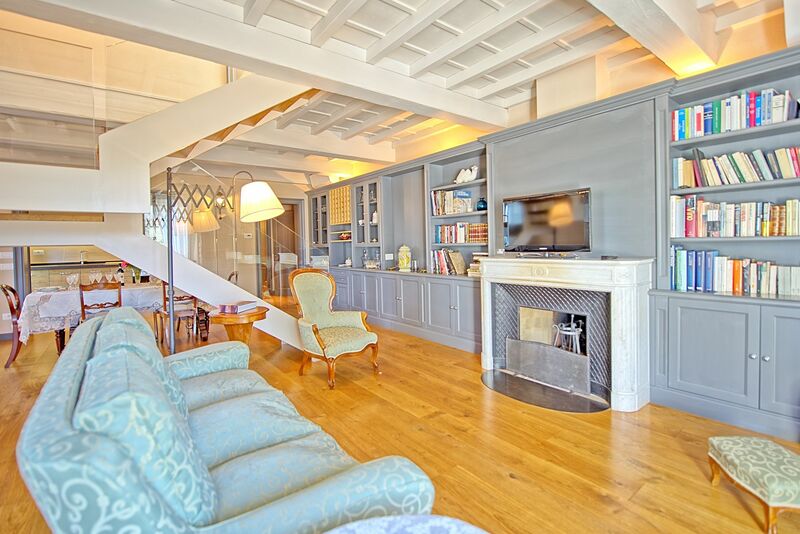 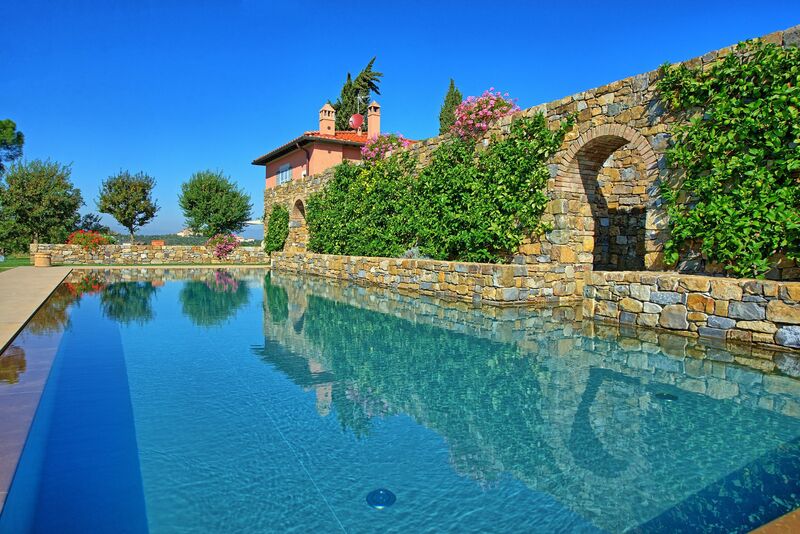 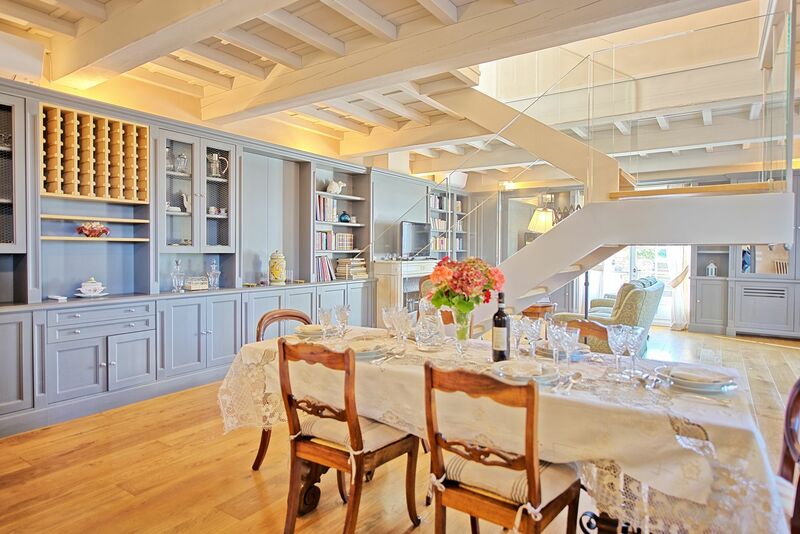 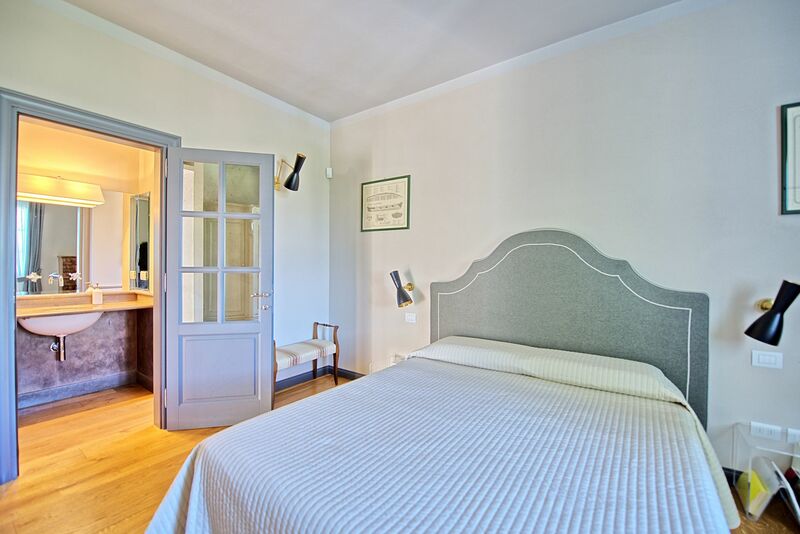 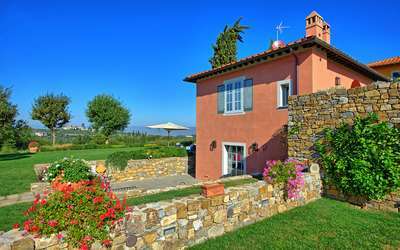 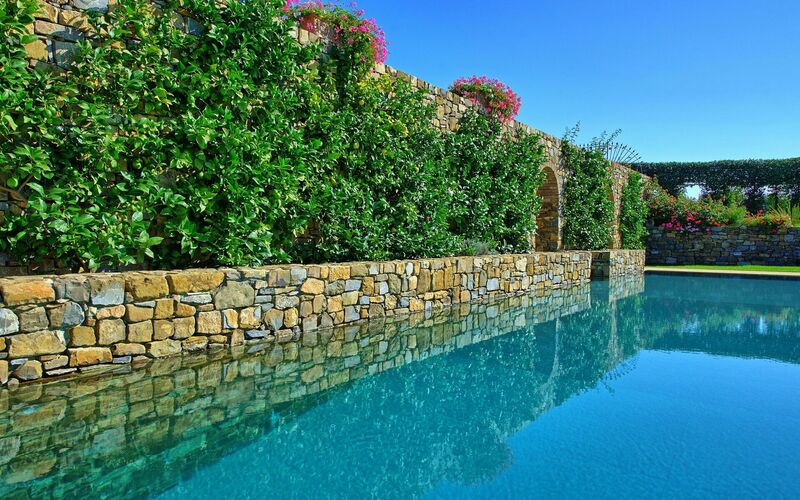 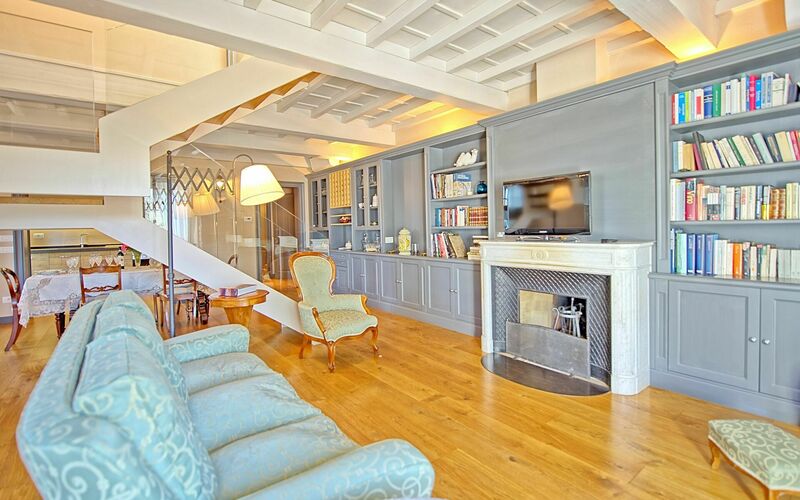 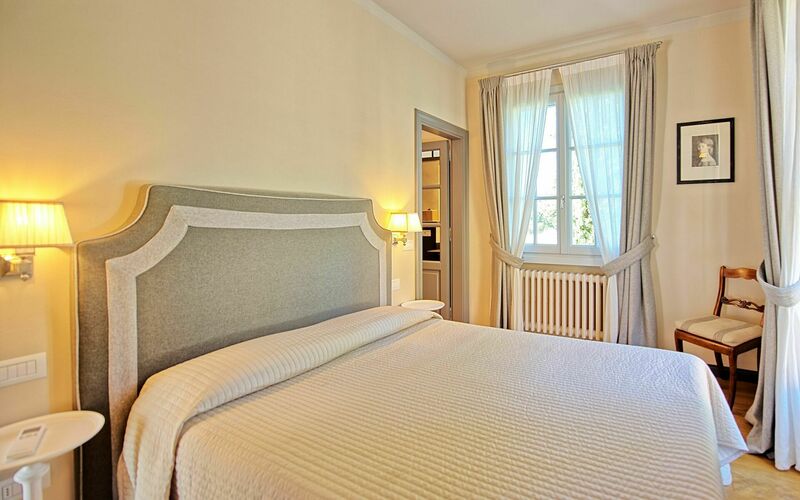 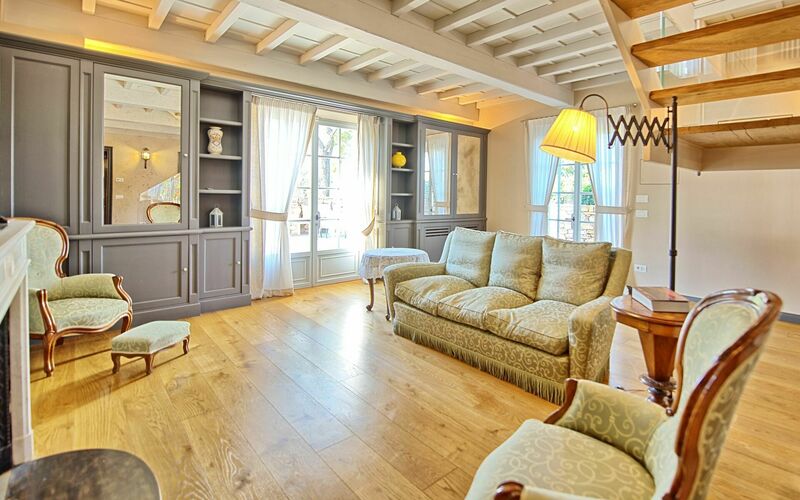 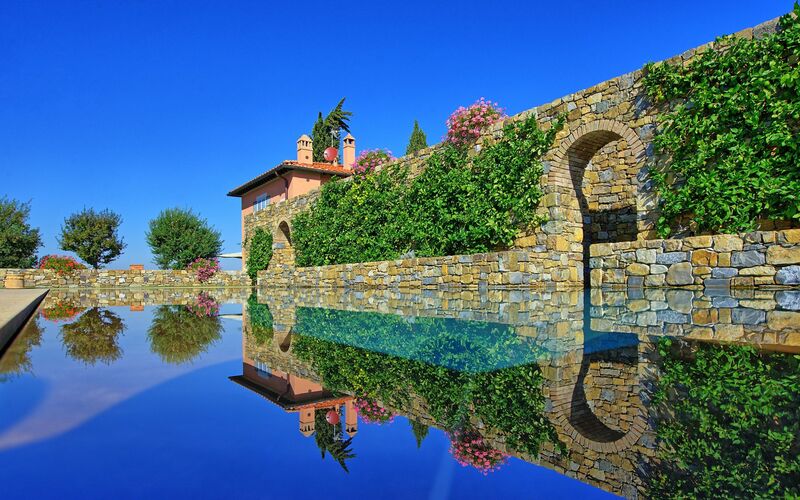 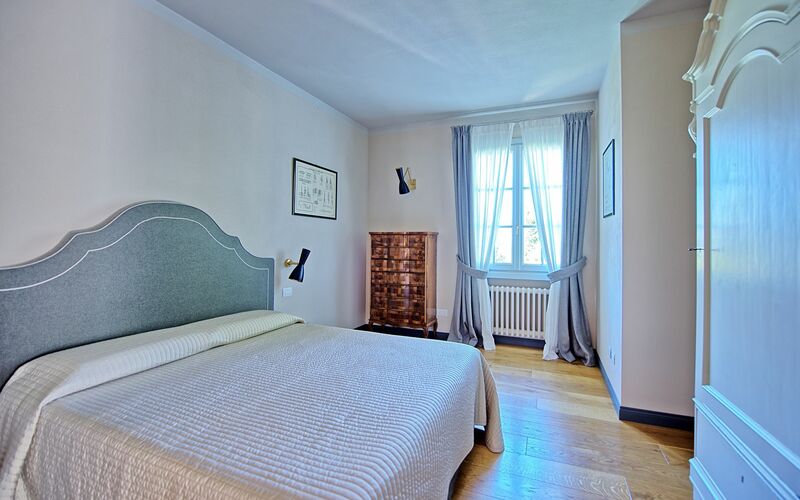 Splendid luxurious villa with the use of a swimming pool, located in the Tuscan countryside amongst olive groves and cultivated fields while still lying in reach of the fantastic city of Florence – the historical centre of Florence is just 9km away. 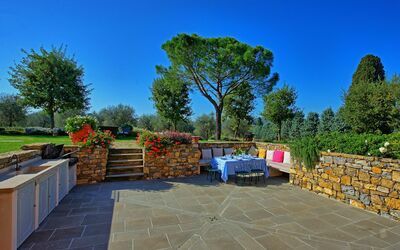 The villa available to rent is an annex to a villa where the property owners live; the guests staying in Villa Colleramole have a private entrance and a large private garden. 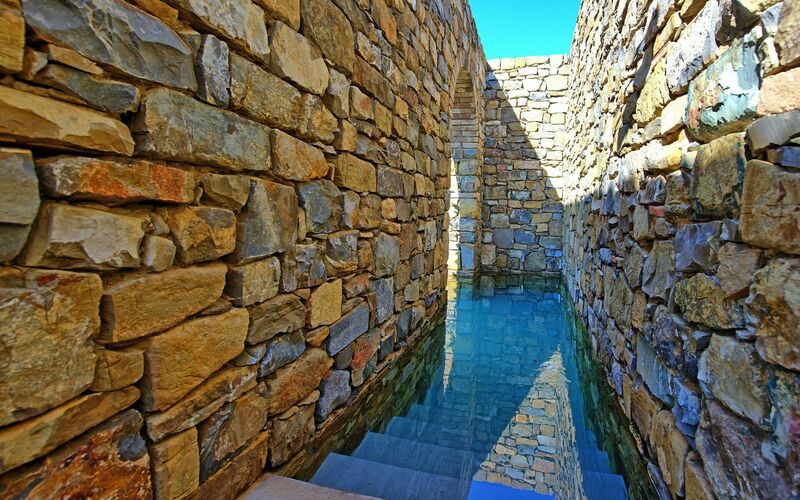 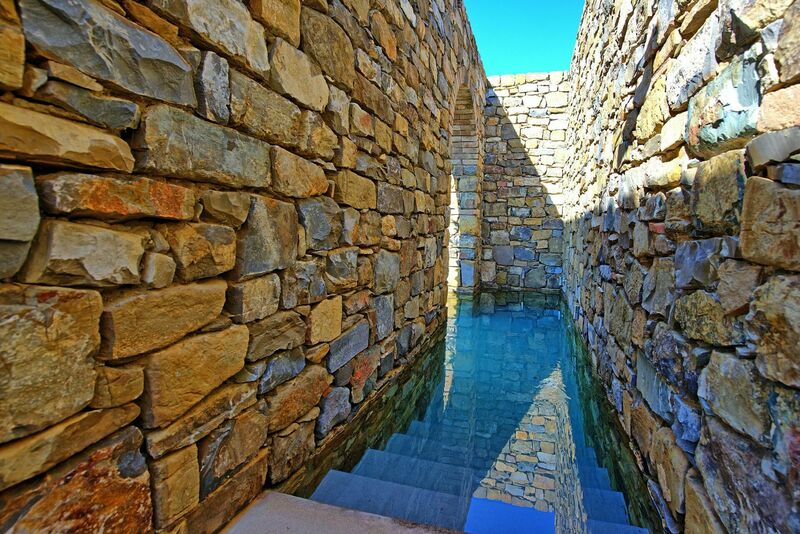 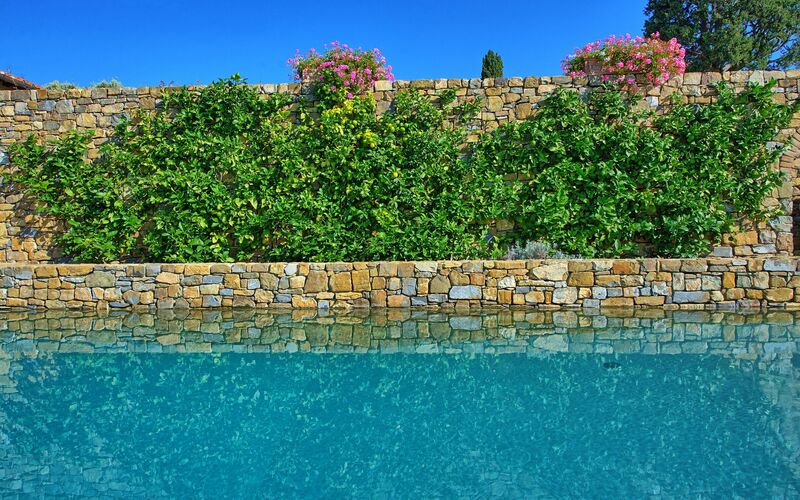 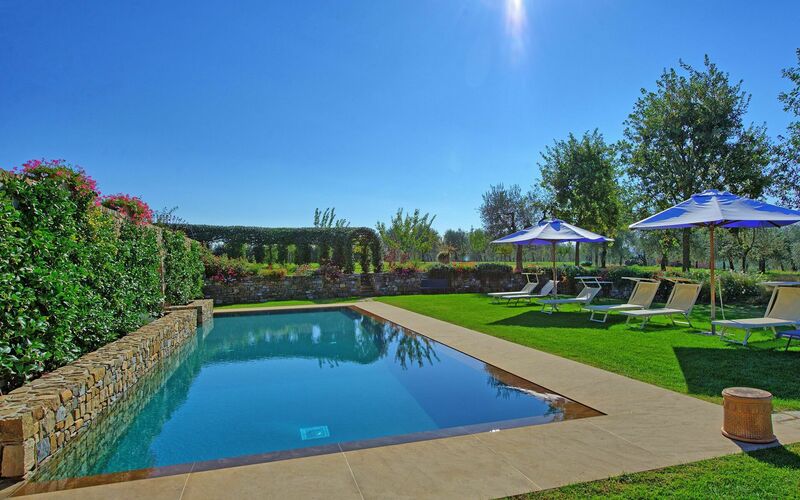 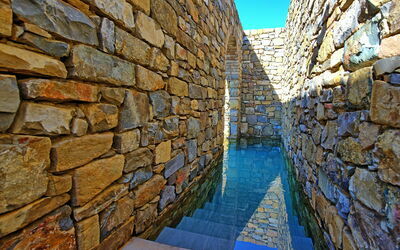 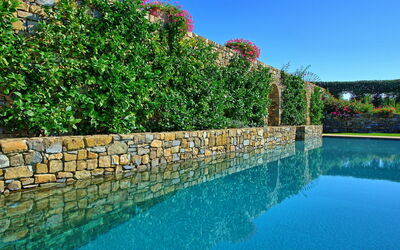 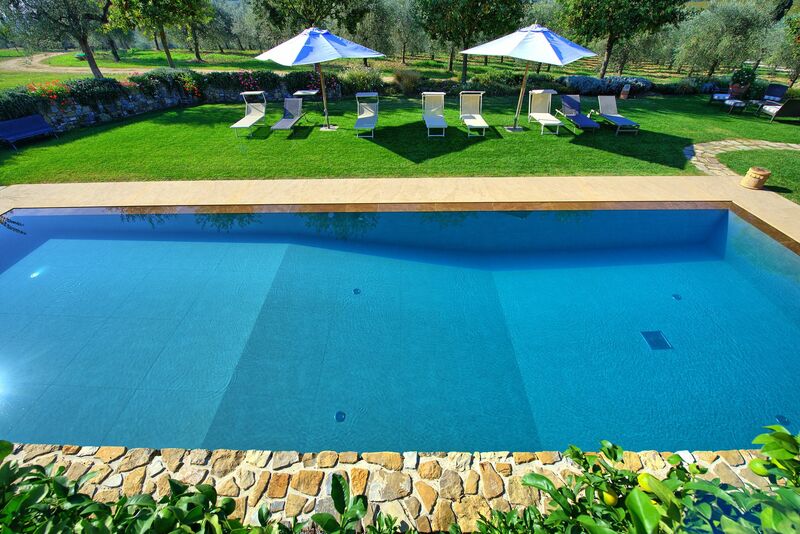 The use of the fantastic swimming pool that lies just next to the rental villa is shared between guests and the owners. 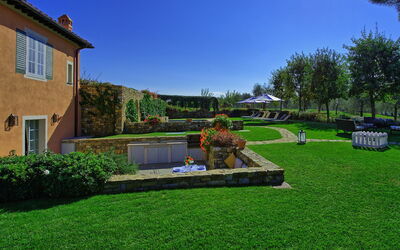 The outdoor area is very well looked after; inside guests will find a refined, new and very comfortable furnishing. 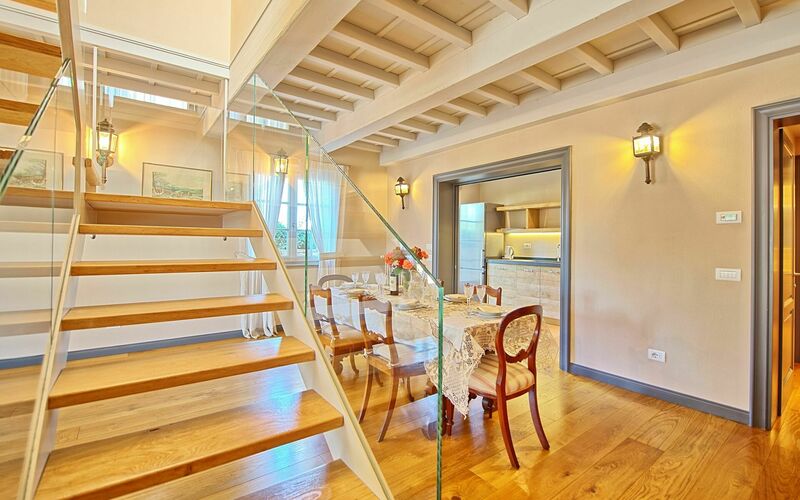 In the nearby town of Scandicci (roughly 5 km away) guests can take the "tramvia" (overland subway) which leaves roughly every 5 minutes and travels into the historical town centre of Florence. 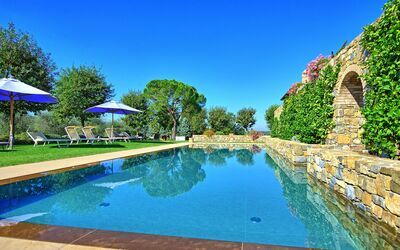 Available to guests: private garden, outdoor area to the front of the property, furnished for outdoor dining, swimming pool for shared use with the owners (15 x 5 m; maximum depth 2 m; open year-round), air-conditioning, free Wi-Fi internet connection. 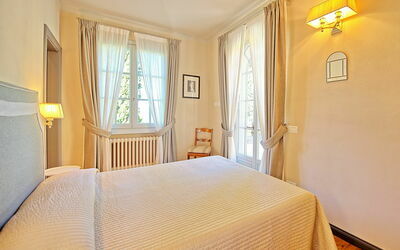 Electricity and heating costs included. Final cleaning charge included. 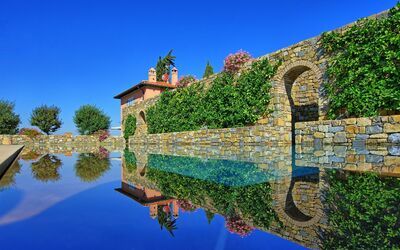 Parking onsite. Distances: Galluzzo (shops of every kind) - 3 km, Scandicci - 5 km, Florence - 9 km, the Chianti Classico zone lies in a range of 15 - 50 km, San Gimignano - 50 km, Siena - 63 km, Arezzo - 75 km, Pisa and Lucca are roughly 85 km away, Cortona - 105 km. 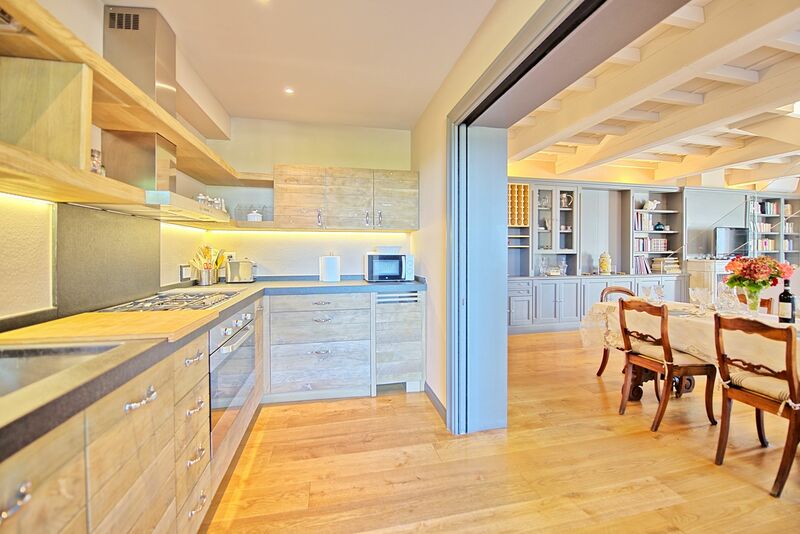 Ground floor: large living area with fireplace and dining area, kitchen (oven, fridge-freezer, dishwasher, microwave), practical room with washing machine. 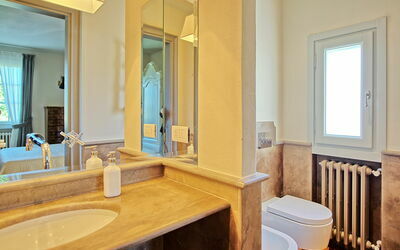 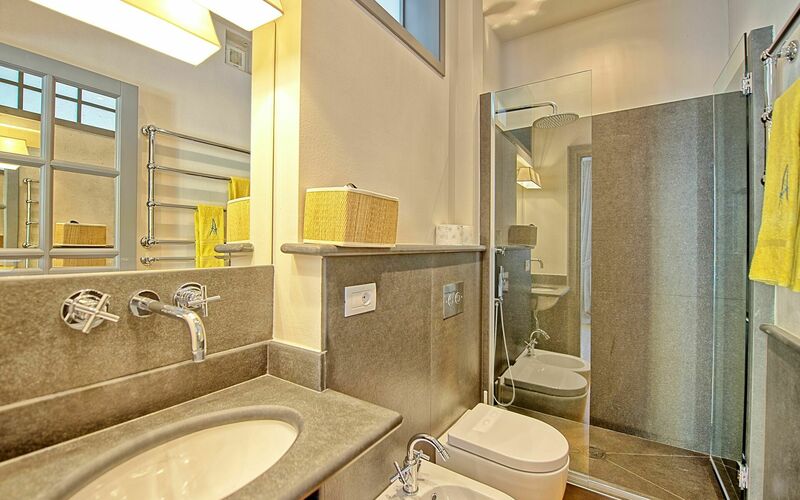 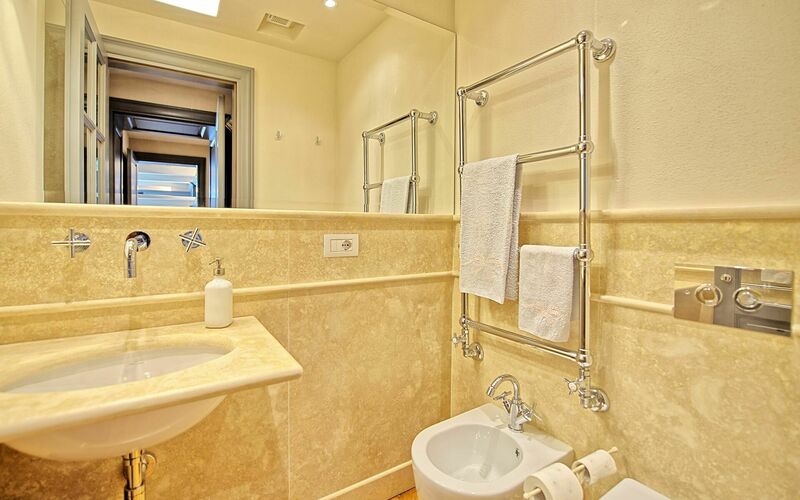 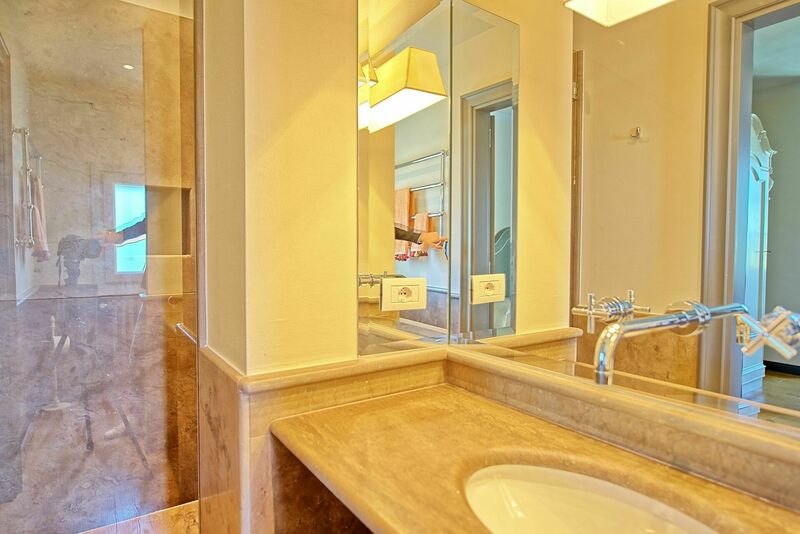 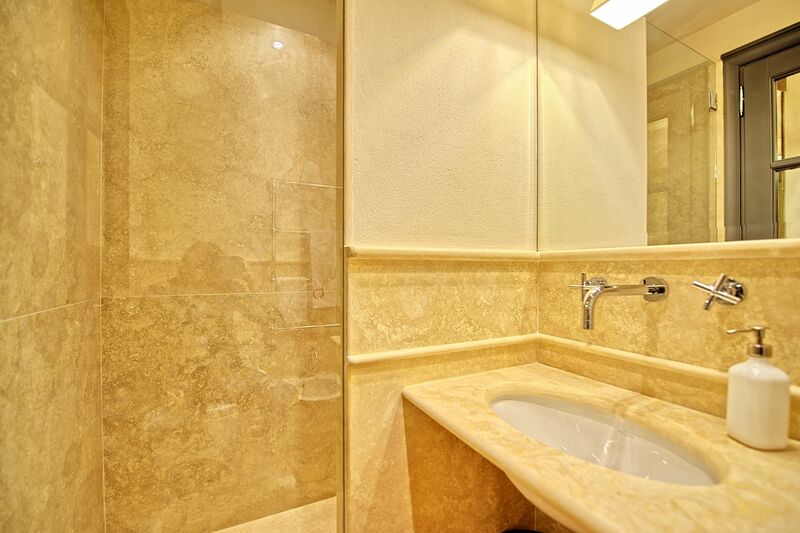 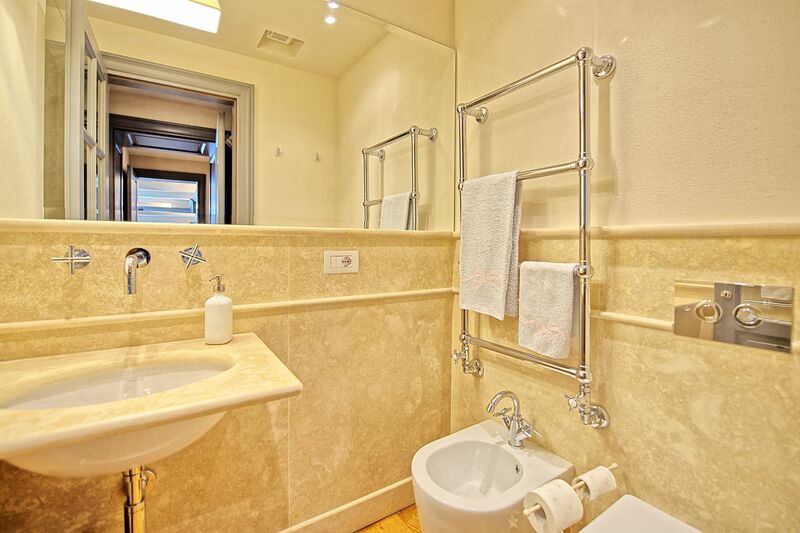 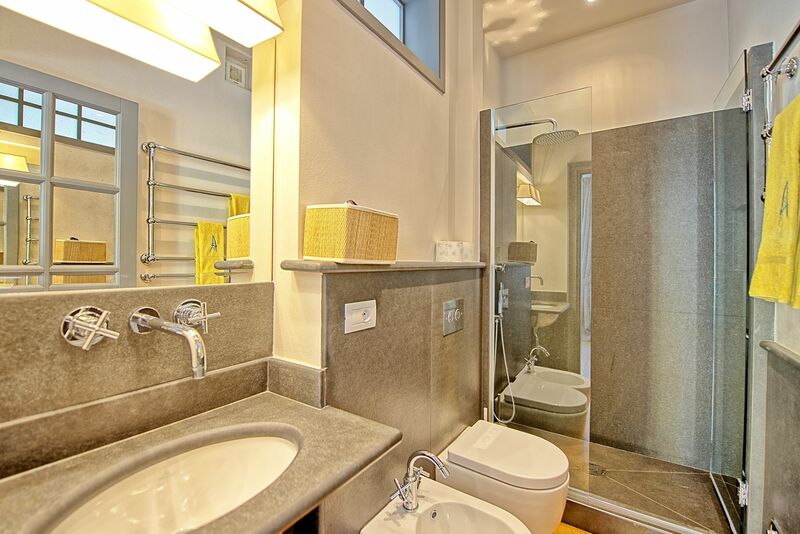 Twin bedroom, bathroom with shower. First floor: double bedroom with private bathroom with shower, double bedroom with private bathroom with shower (no window). 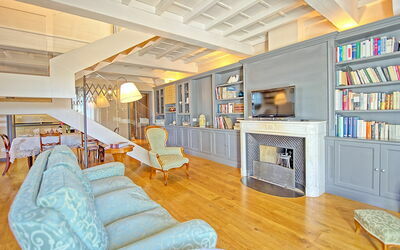 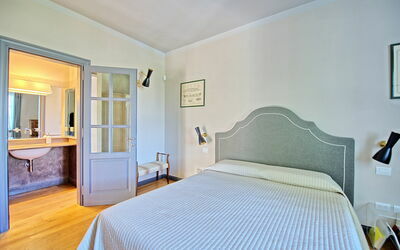 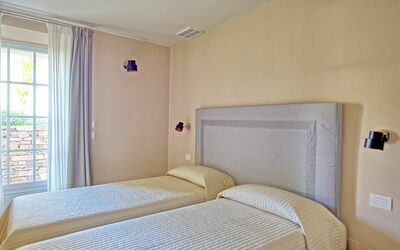 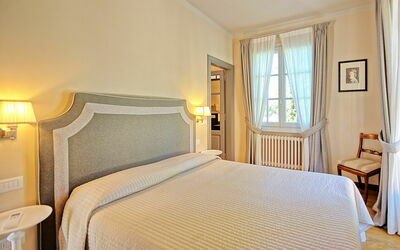 The living area and the bedrooms avail of air-conditioning.